Why is the sky blue? What is a cloud, and why does it rain? 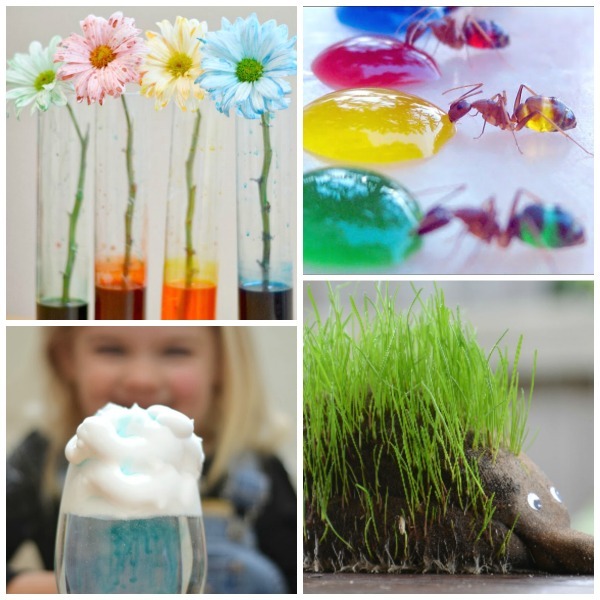 These spring science experiments will help to answer all of those little questions & more! 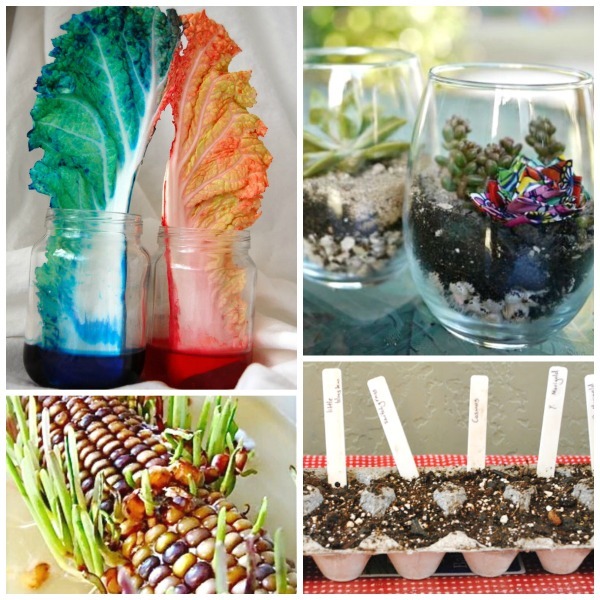 Make your own vegetable planters using eggshells. Try the magic flower experiment. Learn about insects with this amazing ants experiment. 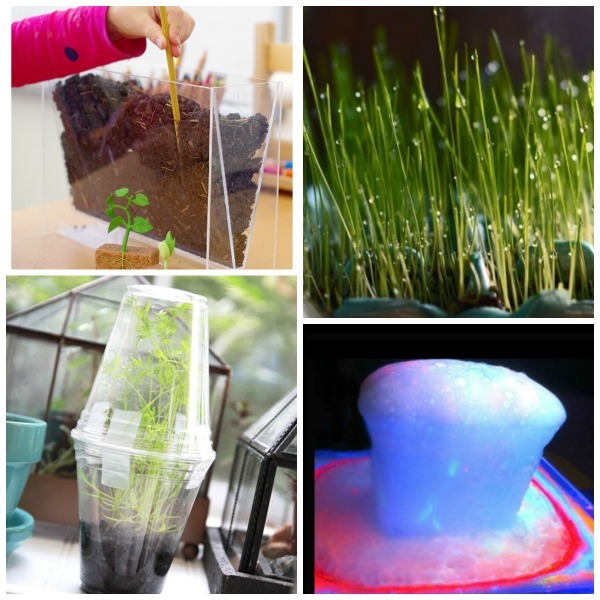 Explore how plants grow with this seeds experiment. WOW the kids with a glow-in-the-dark volcano. 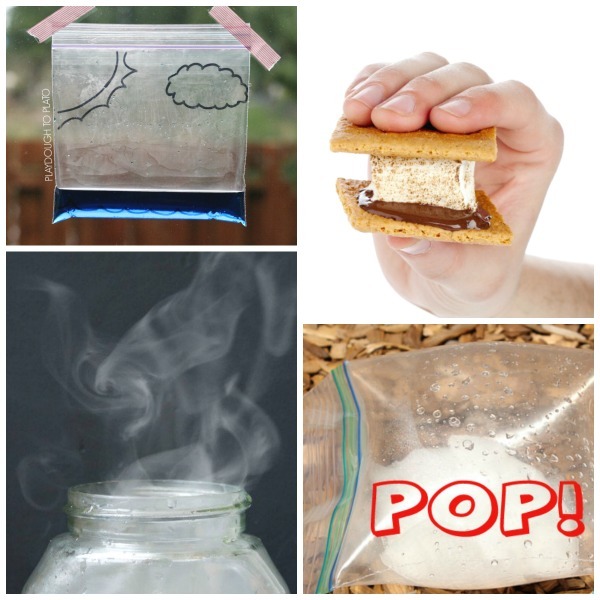 Make the water cycle in-a-bag. 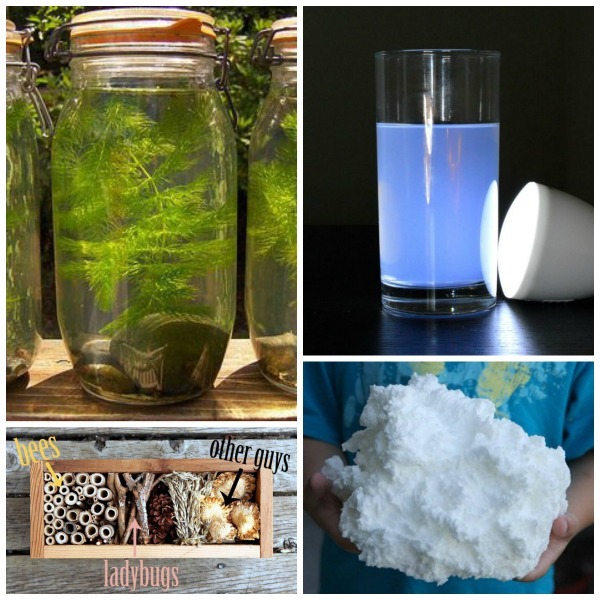 Make a cloud in a jar. 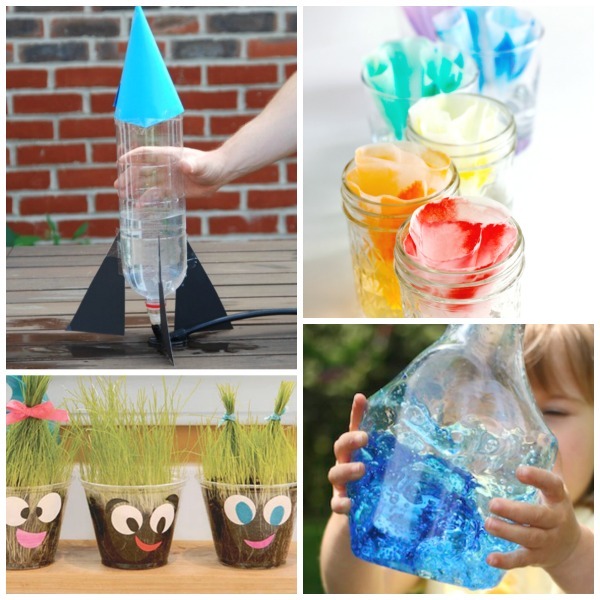 Explore solar energy with this yummy experiment for kids. Make things "pop" with this exploding bag experiment. How does your garden grow? Find out by trying to regrow celery. 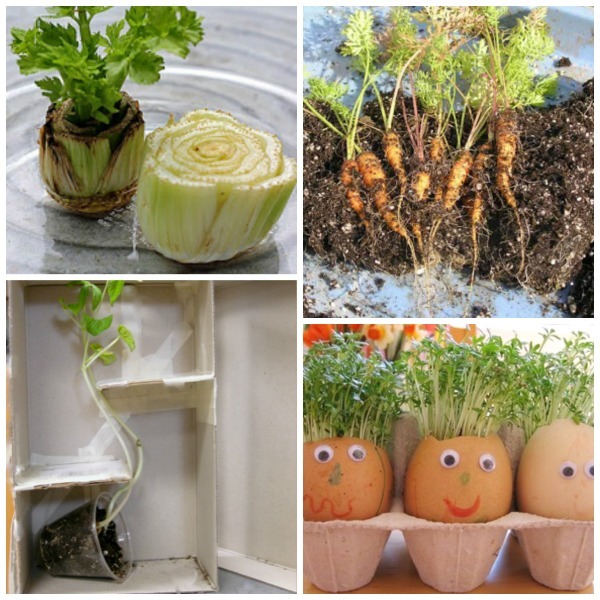 Grow a plant in a box. Grow carrots in a bottle. 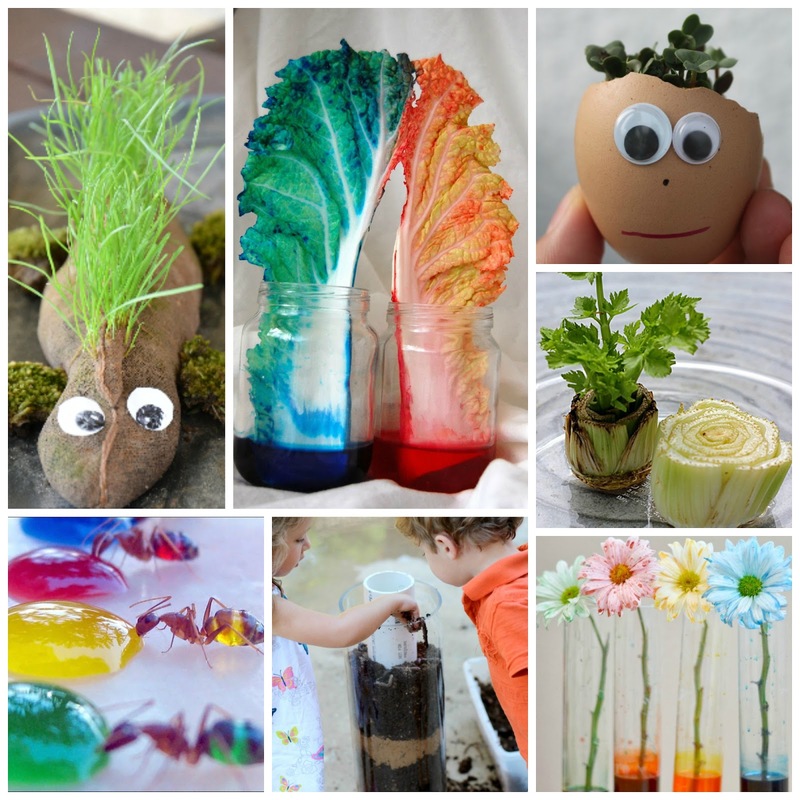 Explore plants and how they grow with this egghead experiment. 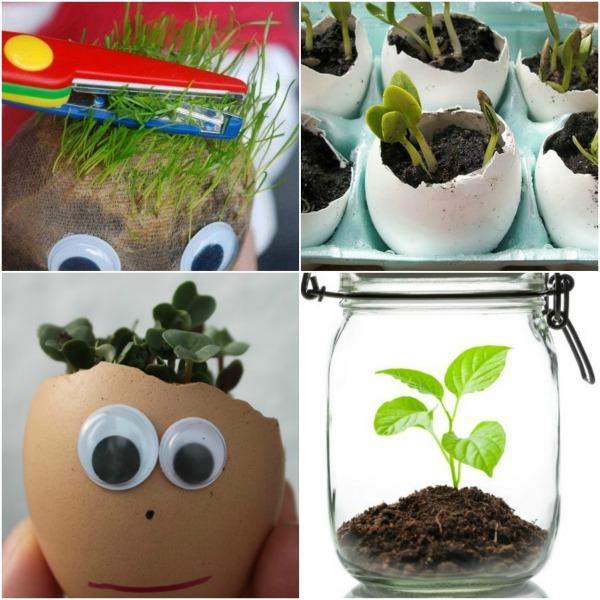 Grow your own "Plant Pals". Try the rainbow marker experiment. 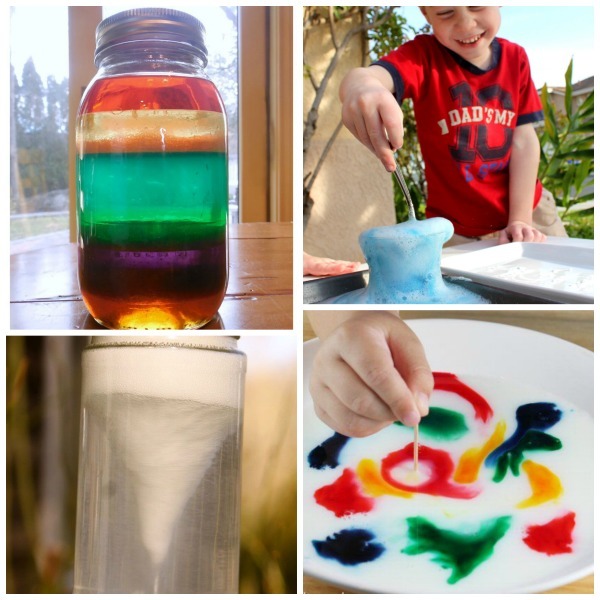 Explore liquids with the water movement experiment. Will it grow? Try this experiment to see! Why is the sky blue? 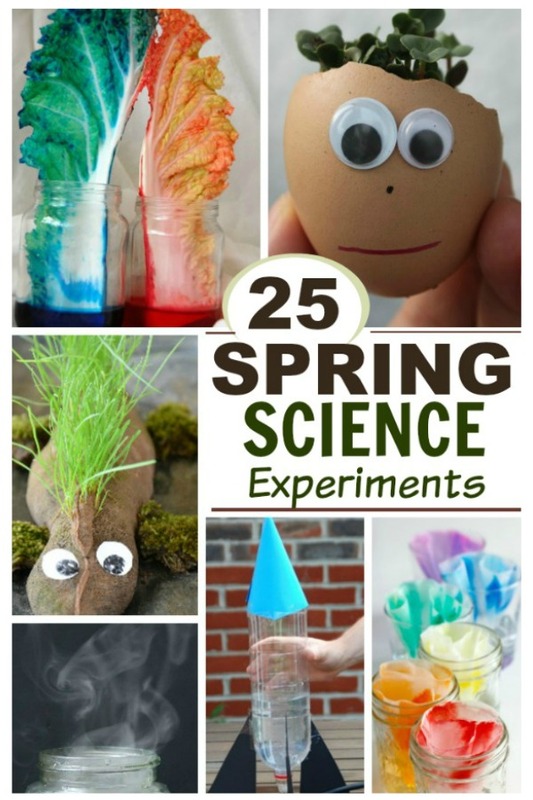 Find out with this fun experiment. WOW kids of all ages with the soap clouds experiment. Blow their minds with magic potion spoons.